If there is one favorite among all of us, it surely has to be the corn. Except Peddu, all of us love this in any form. So it’s only naturally that we always pick up the cobs during the vegetable shopping. Chinnu and Konda infact love to eat as such, just boiled without anything added. While hubby dear loves to have some spice sprinkled on it. Most times we never bother much, just snacking on it during evening. When I decided to do a theme, it’s only natural that I run around trying to figure out which ones I can make. During one such times, when there were no takers for the boiled corn, I stored just the kernels and was wondering what else I should make. 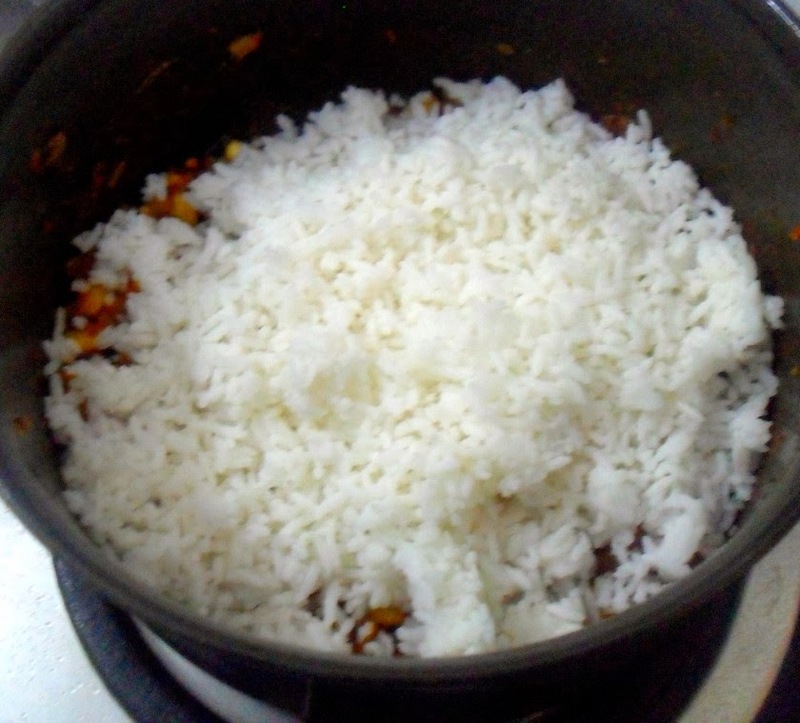 I decided to make some rice dish for my lunch and so it turned out that I ended up making this rice. Since it was one of those non veg days, I made it for Amma as well. She said it tasted very good and we decided we should mark this as must to do in future. Dry roast the ingredients listed under masala powder. Cool and grind to a smooth powder. Keep it aside. Pressure cook the corns and remove the kernels. Cook and cook the rice separately. 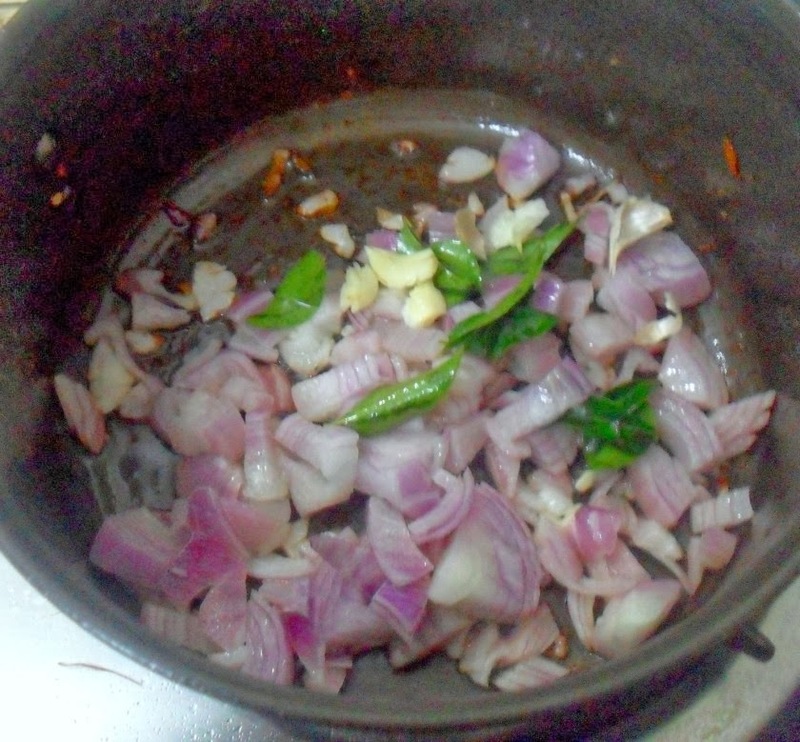 In a non stick pan, heat oil, add the nuts, curry leaves, onions, saute well till the onions starts turning colour. 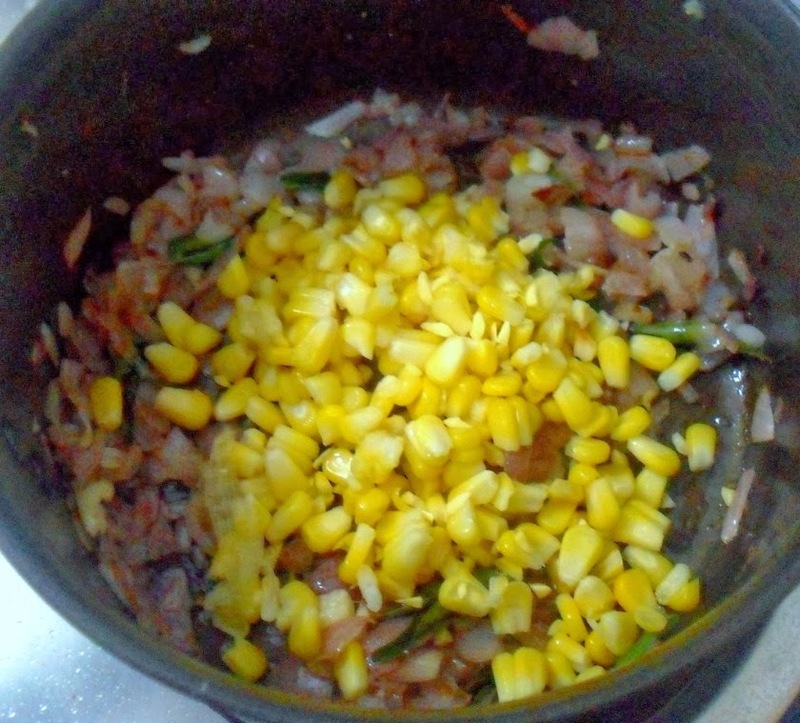 Then add the boiled kernels, mix well. 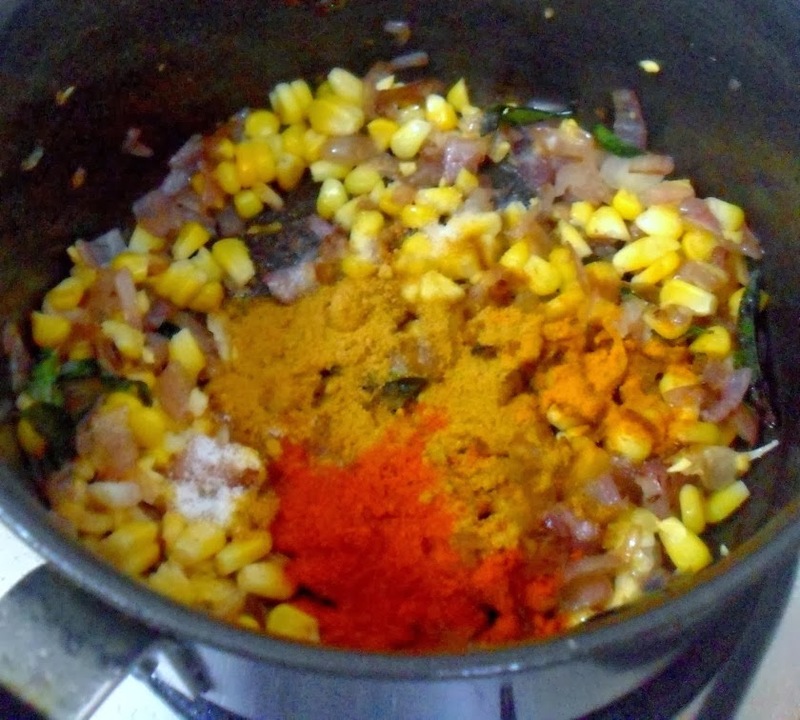 Now add the chili powder, coriander powder, turmeric and salt. Saute well and cook in simmer for 5 mins. Now add the cooked rice and combine everything well. Adjust spice and now add the masala powder and mix. Simmer for 5 mins and remove. I love rice dishes like this, looks so good. wow thats an very very interesting and delicious looking rice 🙂 makes me drool here !! 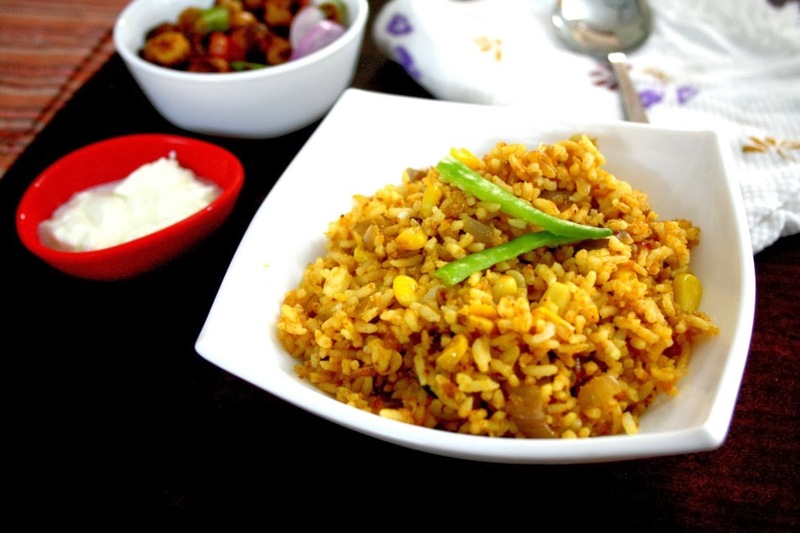 That sounds so yummy Valli — corn with onions & that spicy masala powder. Will have to try!! A very interesting rice dish. Nice dish Srivalli. Its dinner time and I really wish I had all those dishes from the last pic in front of me right now!! simple and very inviting ! 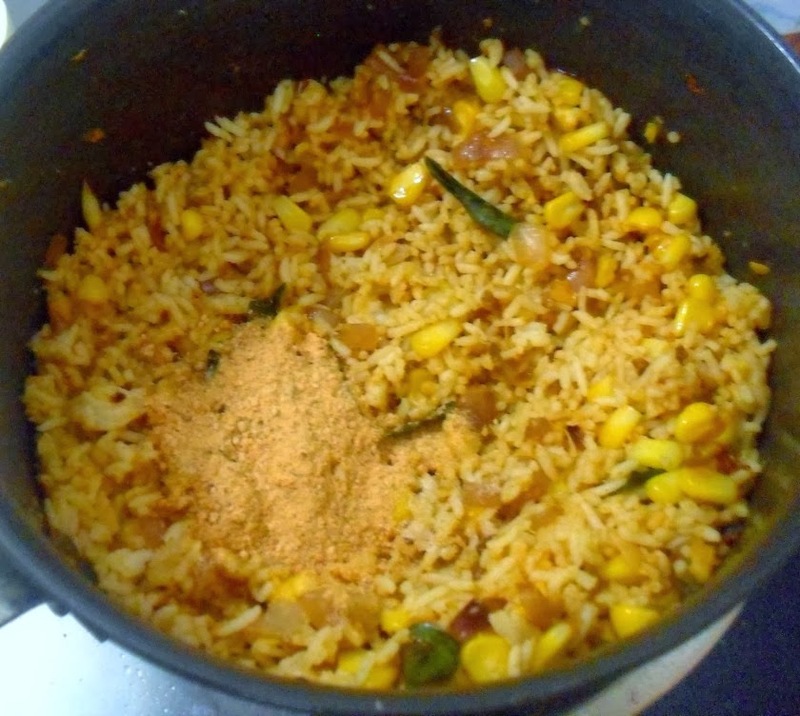 Yum rice Valli. I like your masala mix its simple and yum. Simple and an apt one for lunch boxes. 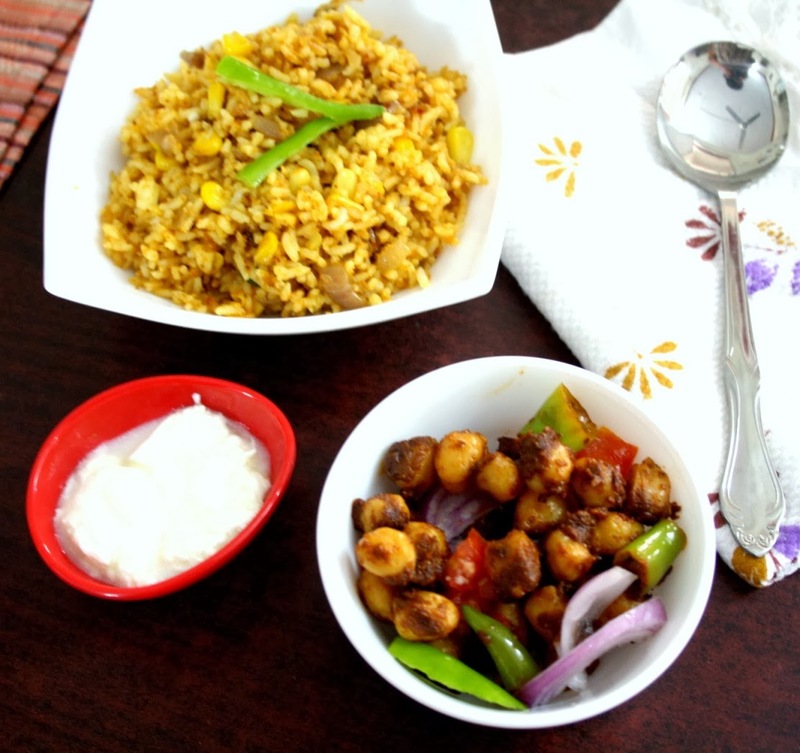 Simple and lovely rice dish! My son loves corn, so i am sure he will eat this for lunch.